Founded by Royal Horse Guards officers in 1919, Buck’s Club in London’s West End, enjoys a footnote in history for its celebrated champagne-and-orange cocktail, Buck’s Fizz. Along with steeple-chasing, game-shooting, point-to-points, betting on greyhounds, boxing, euchre, backgammon and bridge, from its inception it has contested an annual polo tournament with other London gentlemen’s clubs. That was until World War Two following which it was revived in 1994 by one Nigel à Brassard, the current captain of the Buck’s Club polo team. His profession as an investment banker runs tandem with writing polo history, restoring the fun to low-goal polo while at the high-goal end of the game, returning to the spectacle sport it was before the advent of patron polo. So it was fitting that he should host the British launch, mid-year, of Horace Laffaye’s latest tome, The Evolution of Polo (MacFarland & Co., USA) at—where else?– Buck’s Club. In his foreword to Evolution, he describes Laffaye combining an encyclopaedic knowledge of polo’s development, and its characters, with shrewd analysis of the vagaries of the modern game. In Evolution’s final chapter, Laffaye returns the compliment, paying tribute to à Brassard’s endeavour to restore to England high-goal polo played between evenly balanced teams of high-goal players. A Brassard explains: “The Hurlingham Polo Association (HPA) commissioned me to write a report on the prospects for televising polo, including the financial implications. I interviewed players, clubs, TV production companies, TV broadcasters, PR companies—everyone who might have an interest. I concluded that for television, patron polo was a non-starter. Everyone wants genuine four-a-side polo so I created something called the British Polo Championship, a 22-40-goal tournament with evenly matched players in each team, with corporate sponsorship. Two years later it foundered for lack of corporate sponsorship. A Brassard is blooded but unbowed. ” It was never part of my plan to challenge the existing British high-goal tournaments. Who am I to tell them what they do? I believe there’s a place for patron polo. All I wanted to was to offer an alternative. “At the other end of the game, for low-goal amateurs like himself, he conceived something equally outside the square: “When I returned to English polo from working in New York [1999 to 2001] I was struck at how low-goal polo had changed. It had become more competitive, more professional and less fun. I remembered how previously after a game we’d all go the clubhouse bar, we’d talk about the match and how we’d scored this goal or missed that one. Nowadays with so many professional players in low-goal polo, they leave the minute the game is finished because they have other playing commitments. 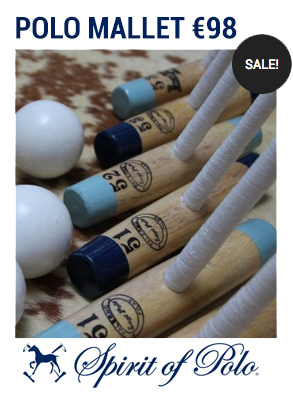 “So I started something I call Country House Polo, games played on private grounds at weekends. Teams are usually composed of three amateurs and a 3- to 4-goal professional, invited on condition that he doesn’t hog the ball or try to score all the goals, so that the ball is passed around giving everyone a go. “We’re very fortunate that within a 30-mile radius of Cirencester we have so many people with private grounds willing to host this kind of polo. The host invites wives, husbands and families of players to lunch afterwards, so that it’s not just a game of polo but a social occasion. “Typically about 100 people have played Country House polo each weekend through the season. They play for the fun of it, or they’ve been eliminated from tournaments, and want to play competitively but in a traditional spirit. I don’t suggest that Country House Polo is for everyone–that would be ridiculous–but it’s another possibility. “Inspired during his period in New York by what he read about US polo history, he began researching the players and clubs linked to the epic clashes for the Westchester Cup, conceived in 1886 as a test series between England the United States. Two US players in particular fired his imagination: Harry Payne Whitney who led the victorious US teams in the 1909, ’11 and ’13 Westchester Cup series, and Tommy Hitchcock Jnr., arguably America’s greatest player ever. For Horace Laffaye’s previous book, Profiles in Polo: The Players Who Changed the Game (McFarland & Co., 2008) he wrote chapters on both players, together with others about Prince Charles and the Mexican-American Memo Gracida). 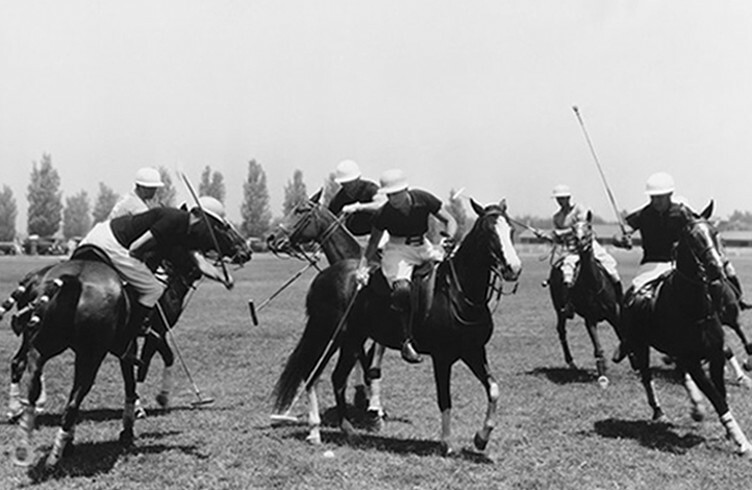 His first venture into print was a slim, self-published tome with a mouthful of a title, A Glorious Victory, A Glorious Defeat: Buck’s Club and the International Polo Matches of 1921. Launched (it goes without saying) at Buck’s Club in 2001, he presents copies to friends while nominating charities to which they can donate money if they wish. The 1921 Westchester Cup introduced England to Tommy Hitchcock Jnr. Here was a 21-year old war hero, an Oxford graduate, a member of Buck’s Club and a victor in the first four triumphs over England in the Westchester Cup in the next 20 years. In 1922 Hitchcock, 22 years old, was elevated to ten goals, the youngest 10-goaler ever, a record unchallenged until the likes of Adolfo Cambiaso and Facundo Pieres some eighty years after. A Brassard discovered Hitchcock while researching the Buck’s Club history, prompting a second volume, Hitchcock: A Tribute, published in 2003, an anthology of tributes to “Ten-Goal Tommy,” including Hitchcock’s own succinctly-worded instructions on rules and tactics delivered to the 1930 US polo squad. Hitchcock’s life, from his heroism as World War One teenage fighter pilot, his athletic prowess and strength of character, to his death as a World War Two test pilot, is the stuff of legend, inspiring à Brassard to write a feature film treatment, which he has since offered to producers. So far without success. Mindful of the enthusiasm he brings to whatever he tries, expect him to persist.